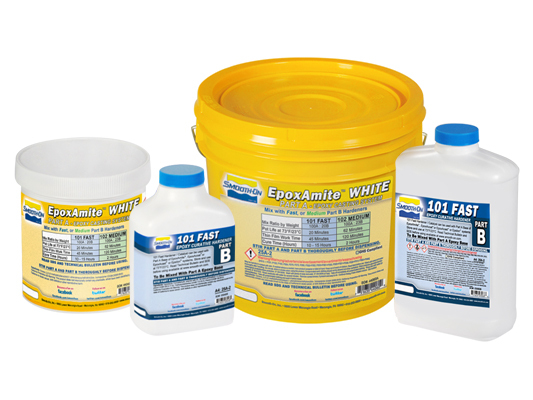 EpoxAmite™ WHITE 101 Product Information | Smooth-On, Inc. Specific Volume 22.2 cu. in./lb. Measuring / Dispensing – Accurate ratio measurements by weight is required for the material to cure properly and develop full physical properties. Refer to specified Mix Ratios in Handling Properties for proper measurements. Dispense Parts A and B proper proportions into clean plastic, metal or wax-free paper containers.